Nathan Murawsky is a Principal of the firm. Nate has represented injured persons in personal injury matters for almost twenty-five years, and has obtained significant settlements and verdicts in the representation of his clients. His experience includes cases involving auto accidents, premises liability, medical malpractice, professional negligence, liquor liability, defective products and civil rights violations cases. Nate has tried dozens of cases to verdict in courts throughout Pennsylvania, New Jersey and the Federal Court for the Eastern District of Pennsylvania. Attorneys not only in the Philadelphia area but throughout central and eastern Pennsylvania refer their clients to Nate due to his vast experience in the courtroom. Nate has also argued appeals before the Pennsylvania Supreme Court, Superior Court, the Third Circuit Court of Appeals and the Fourth Circuit Court of Appeals. Most notably, Nate obtained a unanimous verdict from the Supreme Court in Nicolaou v. Martin, et. al., where the Supreme Court overturned a lower court’s dismissal of the case, finding that the financial ability of a person to obtain health coverage cannot be held against them. He has lectured in the areas of automobile and premises liability law, estate issues in wrongful death cases, and the impact of social media and information technology in personal injury actions. Nate also served a three year term as an Executive Committee Member of the Philadelphia Bar Association’s Young Lawyer Division. As a result of his experience, knowledge, and reputation, the Philadelphia Court of Common Pleas approved Nate to sit as a settlement master for the Philadelphia Court of Common Pleas. In this role, he presides over settlement conferences for major cases in the Philadelphia Court system. A graduate of Brandeis University (1992), Nate earned his law degree from Villanova University School of Law in 1995. 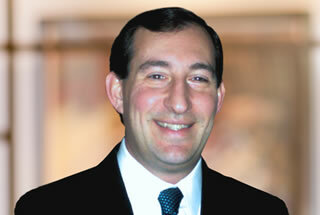 Named to the Super Lawyers Pennsylvania Rising Star List for 2004-2010. Each year, no more than 2.5 percent of the lawyers in the state are selected by the research team at Super Lawyers to receive this honor. Nathan and his wife Melissa are the proud parents of three children and can often be found with their kids at an art show, soccer game or school event. Nathan is an avid Philadelphia sports fan, plays basketball whenever possible and takes pride in volunteering as an assistant coach for the Lower Moreland High School Boys Basketball Team. Secured a unanimous decision from the Supreme Court of Pennsylvania finding that socio-economic boundaries and educational limits must be considered as relevant factors when addressing the knowledge of a victim of malpractice to discovery an injury. The decision re-affirmed that what is reasonable for consideration by a jury cannot be pre-determined by the Court without examination of all facts, not just those deemed relevant by the Court. Obtained a $1.425 Million Dollar verdict in Federal Court for the Eastern District of Pennsylvania against Marriott Hotels when his client was caused to fall by soda crates improperly stacked around a blind turn on a loading dock. After a ten day trial, the jury found unanimously against the defendant and rendered an award to cover his medical expenses, future wage loss and pain and suffering. Reached a settlement for a woman dropped down steps while being transported by an ambulance service leading to the amputation of one of her feet. Although confidential, the resolution sufficiently compensated the plaintiff for her pain as well as the impact on her daily life in losing her foot. Negotiated a settlement during trial against the City of Philadelphia for failing to maintain a fence around a dilapidated reservoir in which his client fell into breaking both legs. As a result of the litigation, the failure to upkeep the property was addressed by the City of Philadelphia resulting in major renovations and repairs to prevent another serious injury. Through arbitration, Nathan obtained a verdict of $850,000.00 against a Bucks County tavern for continuing to serve an intoxicated patron and then allowing her to leave and drive home. The client was rendered partially disabled after a violent auto accident caused by the intoxicated driver. Settled a premises liability claim in excess of a half million dollars against a corporation in Lehigh County when a driver making a delivery was injured while falling inside the premises due to an improper design and maintenance of steps. The resolution stemmed, in part, from Nathan’s ability to conclusively establish the defendant’s knowledge of the defect and documented failure to take corrective measures after prior falls had taken place. Successfully mediated a medical malpractice case against a Montgomery County hospital when an elderly man suffered a massive heart attack while in the hospital, but through litigation, was discovered that the hospital failed to respond in a timely manner to the emergency situation leading to the man’s death. While terms of the settlement are confidential, the result was one that sufficiently met the family’s approval and led to changes within the hospital’s procedures to ensure protection against similar problems in the future. Resolved a case during trial against a chain restaurant after a slip and fall accident in the parking lot that caused a permanent loss of use of the plaintiff’s leg for $650,000.00. Of particular note was that the plaintiff’s injury was a rare nerve disorder cause by the fall that was disputed by the defense. In part, the cross-examination by Nathan of the defense medical expert brought out testimony confirming the severity of the injury. In addition to the above, Nathan has been involved in mass tort cases such as the orthopedic bone screw litigation and class actions for toxic exposure to dangerous chemicals. Nathan has also litigated cases involving defective products such as automobile parts to construction site accidents leading to catastrophic injuries.